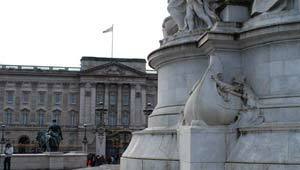 Buckingham Palace is the London home of the Her Majesty, The Queen and it’s open to tourists for a short while each summer. The palace is well worth visiting, but even if it’s not the right time of year, we’d still recommend going to see the palace just from the outside. You’ll be amazed at how big it is, and you can spend time watching the guards and seeing who’s coming and going. Look out for the flag pole on the roof. If it’s flying the Royal Standard, then the Queen is in residence. If not, then she’s somewhere else. If you are in London at the right time of year to take the tour, you enter at the side of Buckingham Palace and proceed to the inner courtyard. You will see the state rooms rather than any of the Queen’s private quarters and finally you exit into the huge garden at the rear. An audio tour is provided as part of the admission price and a special children’s version, which our kids enjoyed, is available too. We enjoyed our visit but we did think there was a lot of the palace that you don’t get to see. We’d have liked to see some of the “working” areas too. The Palace is usually open from late July to late September each year but the dates do vary, so check out the latest dates before visiting. Tour hours are usually 9.45am to 6.30pm with last admission at 3.45pm. Adult admission is £18 per person, children £10.25, under 5s free. A family ticket is £47 (2012 prices). If you’re only interested in seeing the outside of the palace, you’ll see it on the highly rated London In One Day Sightseeing Tour.